So pretty! I really love that sweater! Love that sweater! So pretty! Sweet! 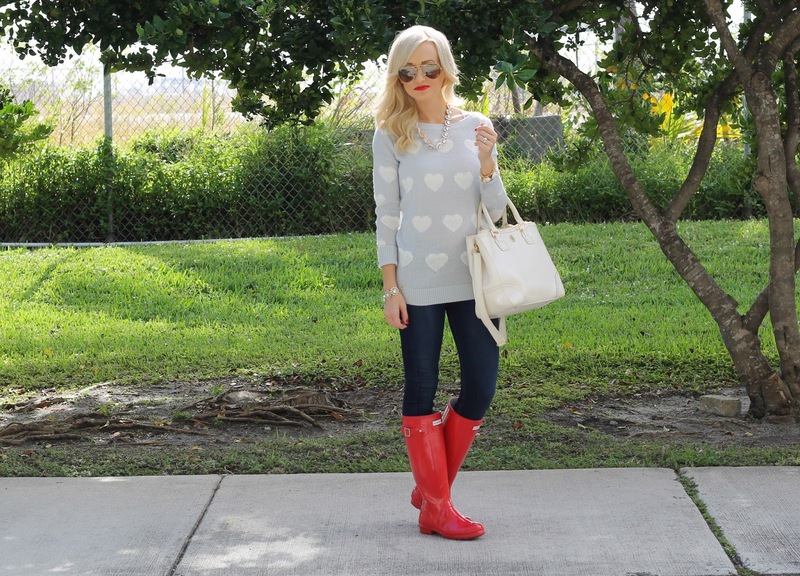 That sweater is adorable, love the pop of red! 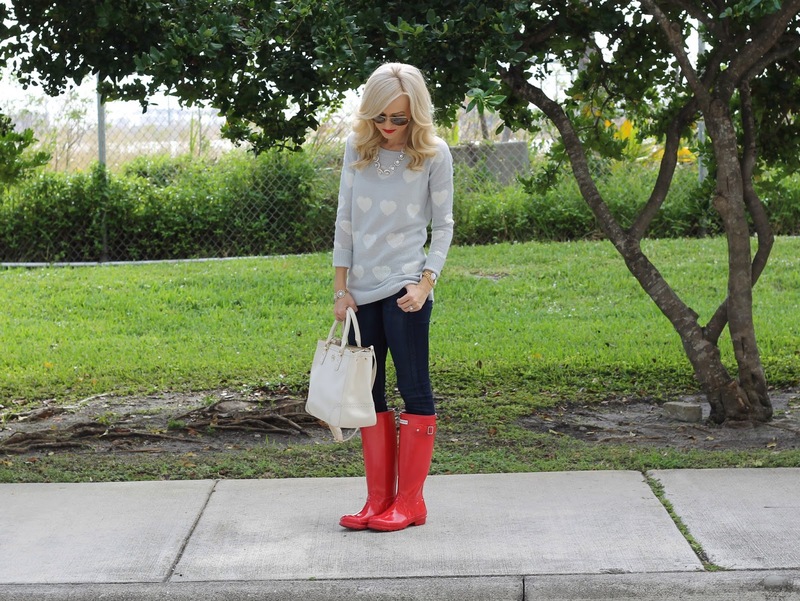 Love those Hunter boots! I've been wanting to pick up a pair in cranberry! 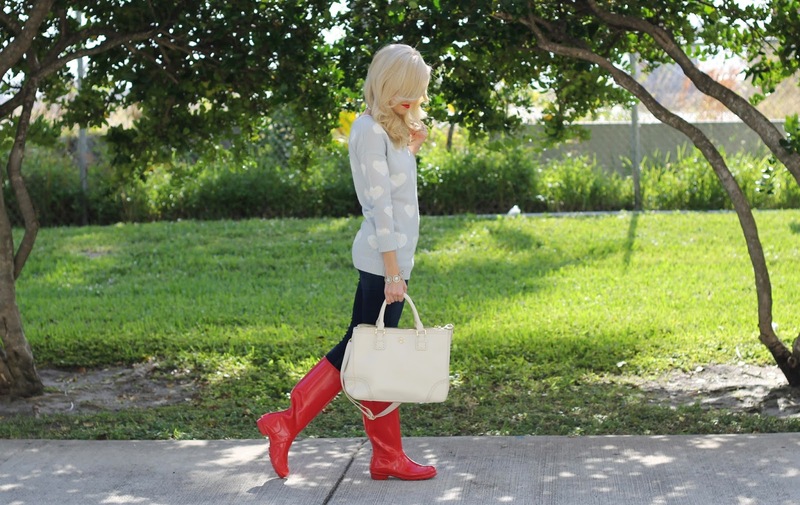 Aww It's always good to see you wearing your pink Wellingtons they are such a "girlie" color and you look really sweet. Such a cute sweater! Looks great with the red boots!! 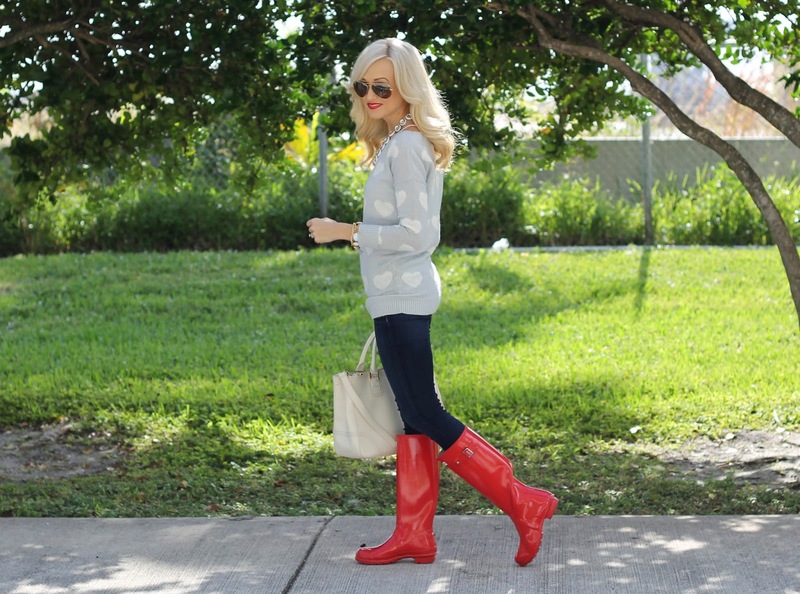 Those boots & that sweater = ADORABLE! This is soo cute! The hearts are so whimsical!! That color on you is awesome too! I love when you wear your extentions they are adorbs, but wow you have amazing hair without them! I love the cut you have :) Have an awesome NYE!